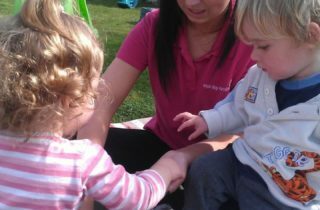 At Tops Day Nurseries we continually monitor and review the services we provide. Each year we send parents a questionnaire asking them for their feedback and we then summarise the feedback to share it with directors, area managers, nursery managers, colleagues, and parents. We are delighted to share with you the feedback from the parents 2018 annual survey. So many colleagues were mentioned individually and each manager has been given the feedback to share with colleagues. 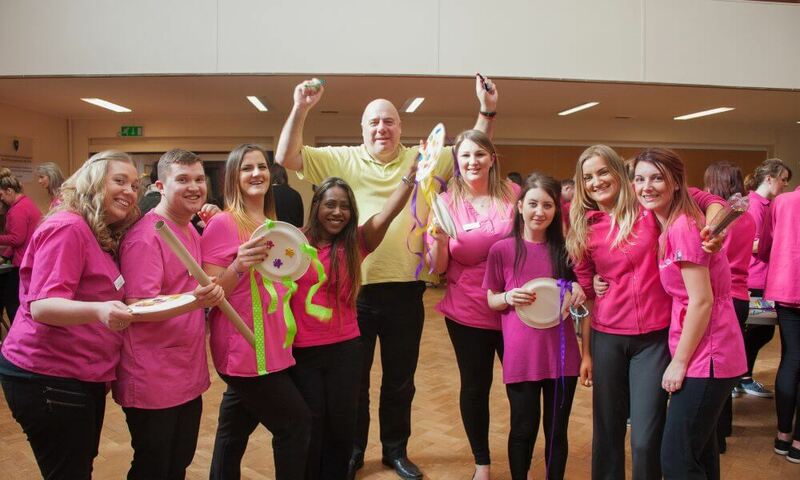 We are so very proud of the results from the survey and to read that over 96% of parents said our practitioners are ‘Awesome’ or ‘Good’ is incredible, very well done all of our colleagues in the Tops family and thank you all for your continued commitment and dedication to all of our children and families, it’s you who are making a difference to a child’s life every day and we are proud of the care and service you provide, thank you all so much. Recommend a friend – Almost 97% of parents would recommend Tops Day Nurseries to a friend, a statistic we are very proud of. eyLog electronic learning journey – We are very pleased that almost 75% of parents are aware that summative reports on are available on eyLog and the nursery require these to be reviewed and re-submitted. 40% of parents are now submitting their own observations of their child’s development milestones at home. We would like to continue to encourage parents to submit observations and from the feedback we received in our survey some parents are unsure what to write in an observation. To support those parents we are going to send a guide to writing observations and re-issue regularly via email throughout the year. We would like to thank all parents for their feedback on how user-friendly eyLog is for parents including feedback on the eyLog mobile app. All the feedback and suggestions have been shared with Rachit Chawla, Managing Director of eyLog. eyLog have recently updated some of the app features, to access these new features check for an update in the App Store/Play Store on your mobile device. 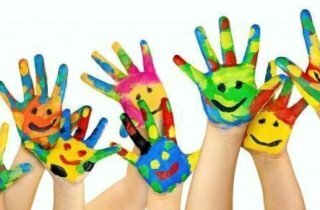 Extra-Curricular activities – 37% of the parents who completed the survey confirmed their child was taking part in extracurricular activities. 19% of parents said they were unaware of the activities offered, we are going to continue to share information via email advising parents of the activities and where possible add additional days to enable us to offer these activities to more children. Tooth brushing Programme – In September 2016 we introduced our tooth brushing programme. We are very pleased that 87% of parents confirmed their child was taking part in the programme. There were a number of parents who were not aware of the programme and were unsure if their child was taking part. The nurseries will be updating all the parents who were unaware if their child is taking part. 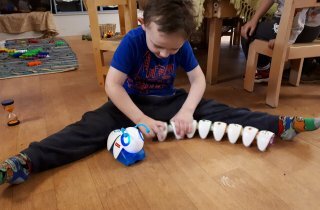 Resources and equipment – It was lovely to read that almost 96% of parents are happy with the range of resources and equipment available at each nursery. We are continually investing in new resources and equipment for all of our nurseries to enhance the children’s learning and development. We have recently invested in an ‘Early Talk Boost’ programme for all our settings to help boost children’s language skills. 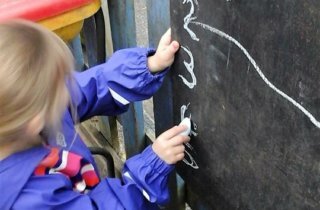 Outside environment – we are very pleased that 94% of parents felt the nursery provided a stimulating outside environment. At Tops, we are passionate about the outdoors and learning through nature. Eco-friendly environment – We asked parents if the nursery being eco-friendly is important and just over 88% responded yes. We are constantly working on ways to become even more eco-friendly and sustainable and have just commissioned a Tops wet bag which would enable us to request plastic bags/nappy sacks are not brought in to the nurseries. The bags will be available in March and more details will follow when they arrive. Children’s T-Shirts – we asked if parents would be interested in purchasing children’s t-shirts if they were available, 54% said they would be interested. We are currently sourcing a provider and working on a design and as soon as these are available we will update you further. We also asked parents to tell us what they thought of the management, administration and nursery practitioners in the nurseries. We are very proud that over 96% of parents said our practitioners are ‘Awesome’ or ‘Good’, There were lots of lovely comments about the individual staff and we have shared these with the staff mentioned, thank you. We asked parents if they are treated fairly and without discrimination and 99.38% said yes.